The maxim “failing to plan is planning to fail” is especially true with roofing projects. Here is some advice to get started on the right foot. A reroofing project requires facility managers to address a multitude of details. Planning requires facility managers to get answers to questions about budgets, roof system options, code requirements, warranties, and many other issues. What’s more, it’s important to follow a careful process for evaluating reroofing bids. Knowing what information to look for throughout the process, where the pitfalls lurk, and what to expect of other parties on the project team can help ensure success. The first few steps involve proper planning. Once the roof replacement decision is made, the building owner must start planning how to accomplish the task. Whether you hire an architect, roof consultant, general contractor, or roofing contractor may depend on the anticipated size and complexity of the project.When the project involves with a relatively small roof area, some building owners decide to work directly with a roofing contractor. Even if you have had a good relationship with a roofing contractor that provided your maintenance or emergency leak service, getting second and third opinions and quotes is advisable. After all, you are making a capital investment that, with maintenance, should perform for the next 20 plus years. With larger projects, especially involving multiple roof areas and deck types and the complexity of extensive roof top equipment, consider working with a qualified, independent roof consultant. Once you meet with several, check their references, and review their proposals, the one you select will help guide you through the rest of the process with your interest in mind and generate the specifications and drawings necessary for a successful project. In addition, a consultant can advise you when the roof deck or other structural components may be compromised and require an engineering evaluation. The building owner may also elect to work with a general contractor. This may be an option when the anticipated project will involve more than just the roofing trade. For example, if walls adjacent to the roof need masonry work, to raise weep systems or rebuild a parapet, then a general contractor will bid out the work and coordinate the multiple trades work in the project. Selecting a general contractor should also be based on proposals and references from multiple sources. 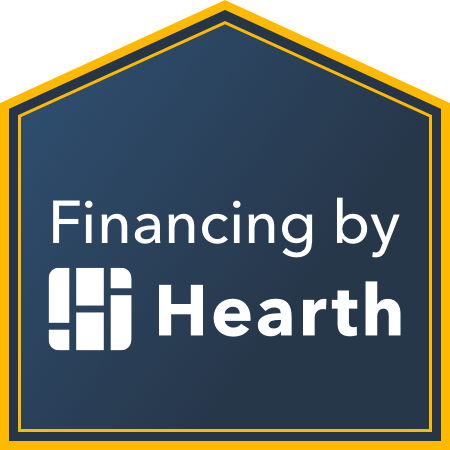 The owner will be paying an added layer of cost for the general contractor services, even if some trade work is self-performed. It may prove difficult to fund a roofing project if it was not anticipated and the expense planned for. If a roof is “out of sight-out of mind,” the need for replacement would be a financial setback. Avoiding surprises like that is one more benefits of an ongoing preventive maintenance program. Whether a facility staff is qualified to self-inspect or a third party is used, preventive maintenance will extend the lifecycle of a roof system, as well as provide information alerting the staff to future needs so the organization can budget accordingly. The size of a roof replacement budget depends on numerous factors. • What is the long-term plan for the facility? If the facility use will change or the property will be sold, those factors may have an effect on budgeting. • How large is the roof area to be replaced? • What is the condition of the roof deck? The type of deck and the condition will determine if repairs or replacement of the deck itself will be needed in the budget. • Do walls rising from any roof edges need to be upgraded? For example, some of a roof’s leak history may have resulted from poor masonry conditions. Inspections and budget estimates should include upgrades that will have a negative effect on the new roof. • How many roofs are on the existing deck? Code regulations do not allow more than two roofs in place, so this could affect the cost of tear-off. • How much equipment is located on the roof? The more penetrations to be flashed, the higher the material and labor cost per square foot. • How critical is the area under the roof when leaks occur? A building owner may want to upgrade to a more reliable system over critical areas. • Is the roof divided into sections by walls or expansion joints? A building owner may elect to replace the section(s) in worst condition while budgeting for the next phase. • What type of roof does the building owner want and how long does the organization want it to last? Every roof system type will have different cost associated with material and labor, as well as performance and durability factors that will affect its longevity. If a building owner has not been previously working with a third party roof maintenance provider, the owner will need the assistance of one of the participants discussed above to determine the necessary budget to complete the project. An example of specific roof exposure that may determine the best roof system for a building is the anticipated chemical exposure. 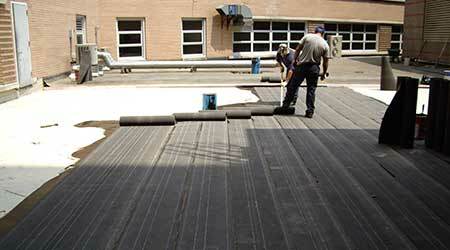 If there is a manufacturing process that will be venting residue onto the roof, it is important to select a roof system that will not be affected by the chemical discharge.While the serviceable life expectancy of the new roof system will be determined to some degree by the roof system type selected, the other major influence in extending the service life of the reroofing investment will be the inclusion of an effective routine preventive maintenance program. A building owner may or may not choose to incorporate a maintenance cost in the project budget, but it is wise to plan for the ongoing cost of maintenance.